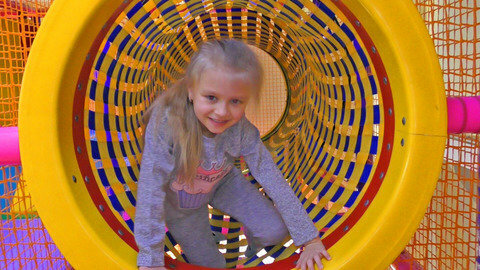 In this educational video,Yasya the kid vlogger, shows how much she loves to play at the colorful playground where it is easy to learn colors with the slides, balls, ladders and other obstacles. Watch her enjoy sliding on the yellow slide multiple times while singing to catchy kids songs like the alphabet song. Keep your eyes open and watch out for the green punching bag coming your way! Watch another fun video by visiting SeeZisKids.